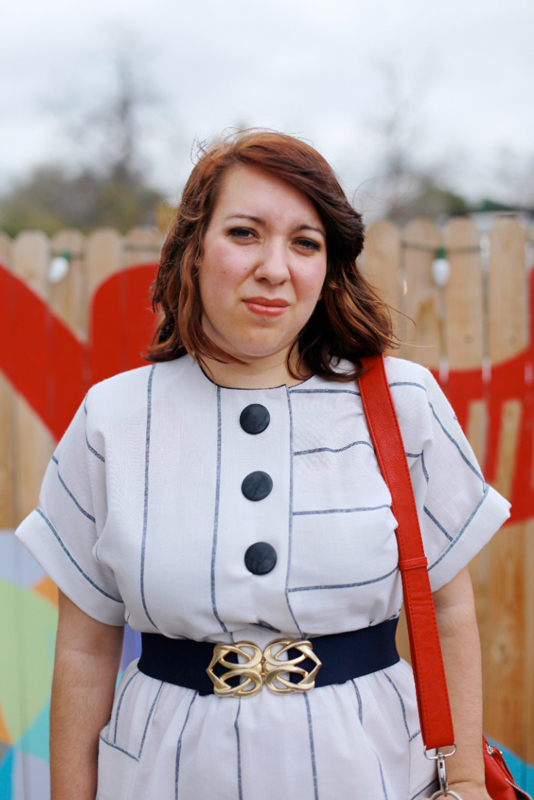 "I got all of my clothes at thrift stores. I like altering all of my clothes. I like to see what I can find and make it mine, as much as I can." The fact that Samantha alters her clothes would explain the perfect dress length and good fit of this vintage "yacht" dress. 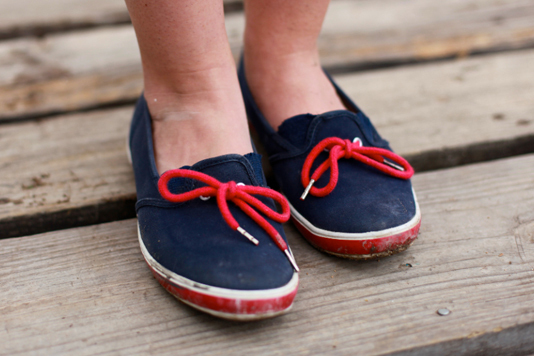 Great blue and red canvas slip-ons.